A new superannuation fund that will invest in residential property is hoping to attract young workers that can't afford to get into the housing market. Superestate is the creation of Grant Brits a former investment banker and Olympic swimmer who said he came up with the idea after seeing his friends and family in Sydney struggle with the financial barriers of residential property. "When we applied this issue to our retirement, it made a lot of sense that our super should be exposed to residential property," he told The Australian Financial Review. While most Australians are heavily exposed to real estate, Brits says this is not the case for younger workers while the cost of housing "is an important retirement factor for all Australians." "Declining home ownership rates, especially amongst younger Australians, shows us that a growing number of people don't have exposure," he said. Superestate will offer two investment options – one which investors will get a 25 per cent exposure to residential property and another in which investors will take a 50 per cent exposure. The difference will be invested in international shares, domestic shares and fixed income. The lower exposure option will charge an annual investment and administration fee totaling 1.35 per cent while the option with a 50 per cent exposure to residential property will charge 1.84 per cent. Brits, 30, is an Australian Olympian, and won the bronze medal at the 2008 Beijing games as part of the 4x200 freestyle relay swimming team that included the legendary Grant Hackett. Shortly after the Olympics he gave up swimming, and studied applied finance before working at Paradice Investment Management, and Bank of America Merrill Lynch in Sydney and New York. In early 2014 he joined algorithmic trading firm Optiver but left in June last year to build the super fund. Superestate has used ASX listed technology provider GBST to build its platform. Brits says the feedback so far has been positive even from property sceptics that "really like the idea" because the investments are long term. "The same property skeptics are happy to acknowledge that property prices will impact their standard of living in retirement,"
The fund will invest in inner-city residential properties, and won't use leverage. The investments will give members exposure to rental income and future house price increases. If the fund is successful it will also create a supply of properties available for long term lease that would be mutually beneficial to both tenants and members. "For tenants, long-term leases offer stability of living arrangements whilst for our members it provides security of rental returns." Superestate's property investment committee will consist of Dr Andrew Wilson, the former chief economist of real estate website Domain and well-known auctioneer Damien Cooley. Residential property as an asset class isn't as "efficient' as other sectors, Brits says. That means there are "pricing anomalies in all market conditions, which provides great opportunities for astute investors." He says the committee he has assembled has great data, analytics and market insights, which should give them an advantage. Brits says Superestate has an investment philosophy to determine how they will deploy their member capital towards residential real estate. "At a high level we focus on what is the right market, to do this we look at the location, suburb demographics and suburb resilience – as an example, we ask what are the diversified drivers of employment and long term growth? "Then we look at the actual properties to make sure the asset is structurally sound – that it is built well. "We then look at property characteristics – whether it is marketable and desirable for the given location." The final consideration, he says, is whether the property has land, and control of the property title, which should influence the long term value of the property. Superestate is the latest superannuation fund that is targeting young savers through improved engagement. It will compete with the likes of Spaceship, that focuses on the technology sector, Grow and Zuper. 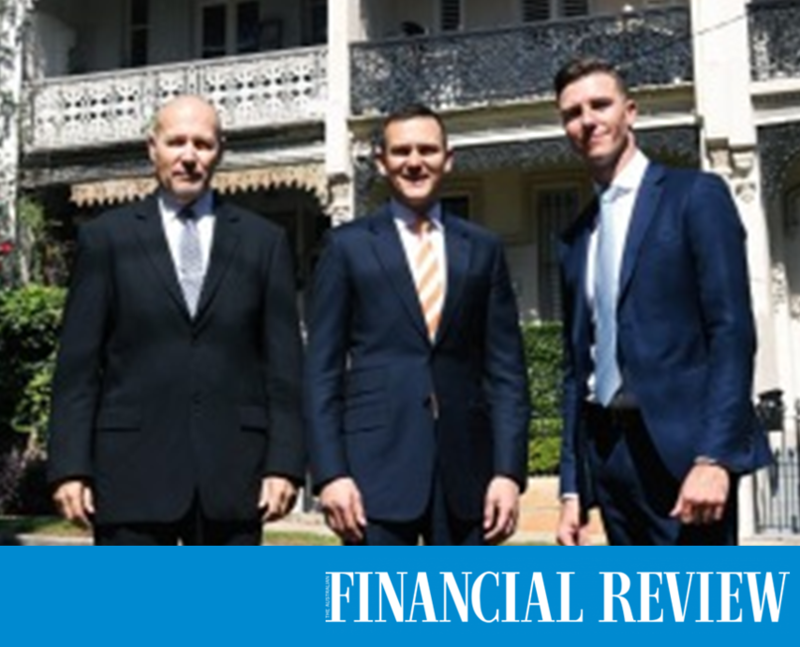 While advocates of the new breed of super funds have commended the start ups for engaging with younger savers that are detached from their retirement wealth, industry professionals have pointed to the high fees charged by sub-scale funds.